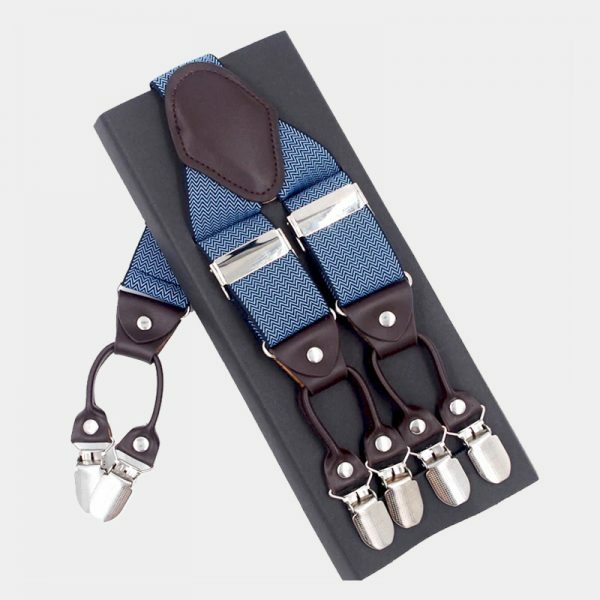 These classic gentleman’s gray double clip suspenders are a must-have accessory for any man’s wardrobe. 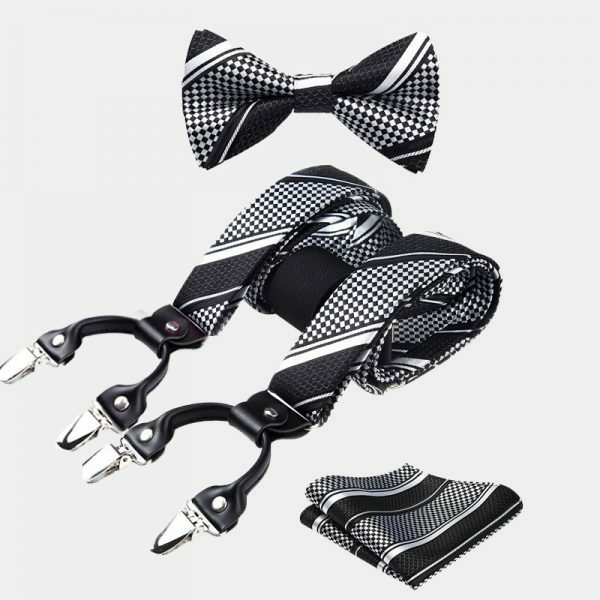 They let your unique style show through each time you wear them. 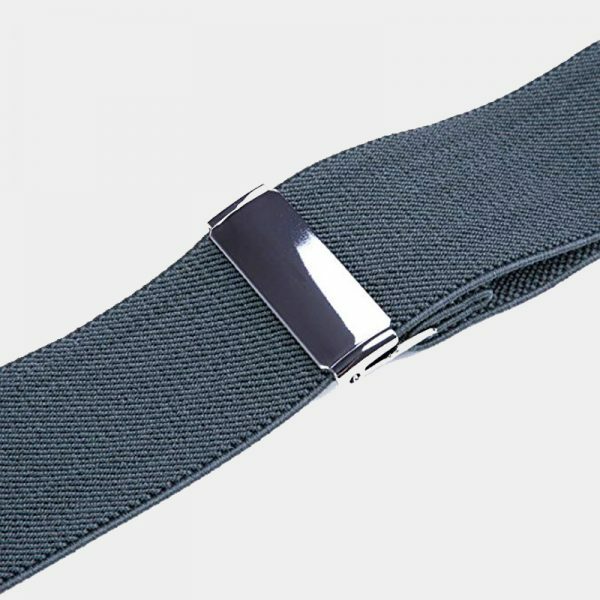 The neutral gray color matches well with most business and casual attire. 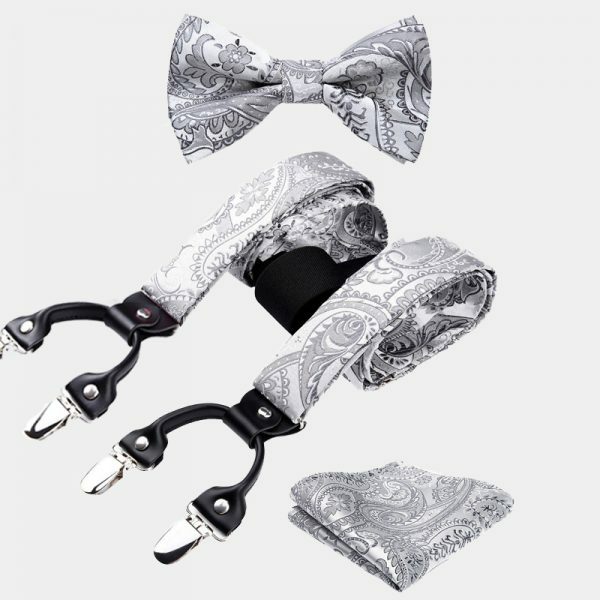 These gentleman’s gray double clip suspenders also look stylish addition to your tuxedos and formal suits. 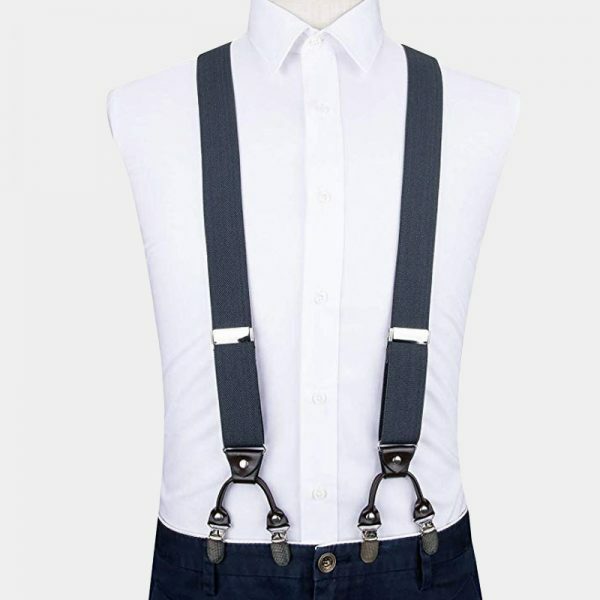 These fashionable suspenders make is easy to ditch the belt and upgrade your attire. 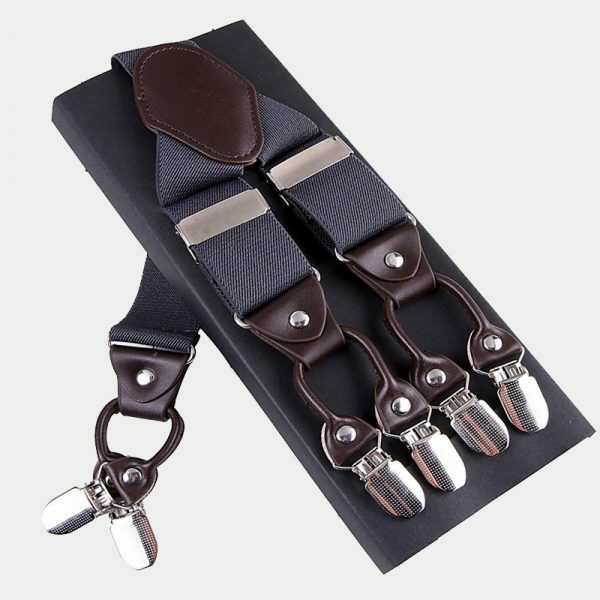 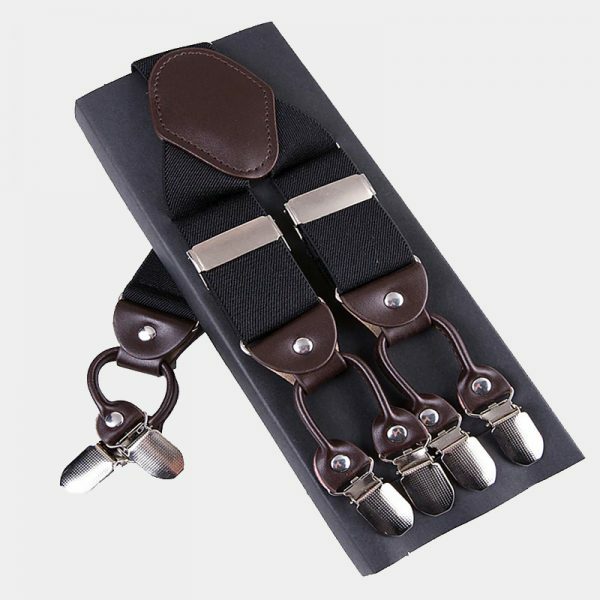 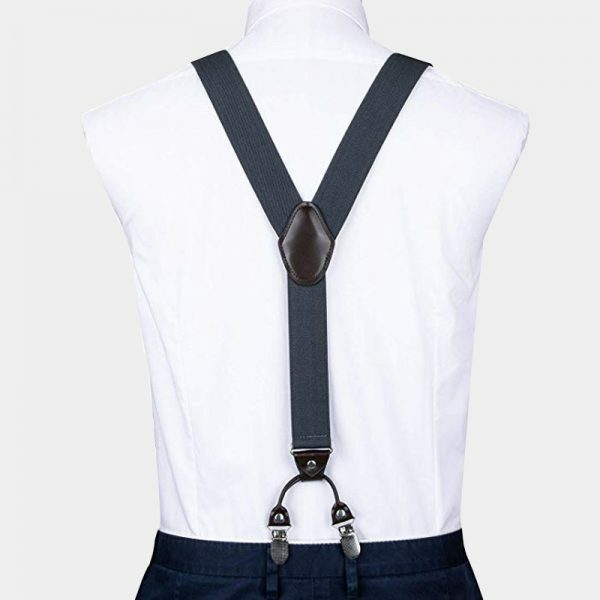 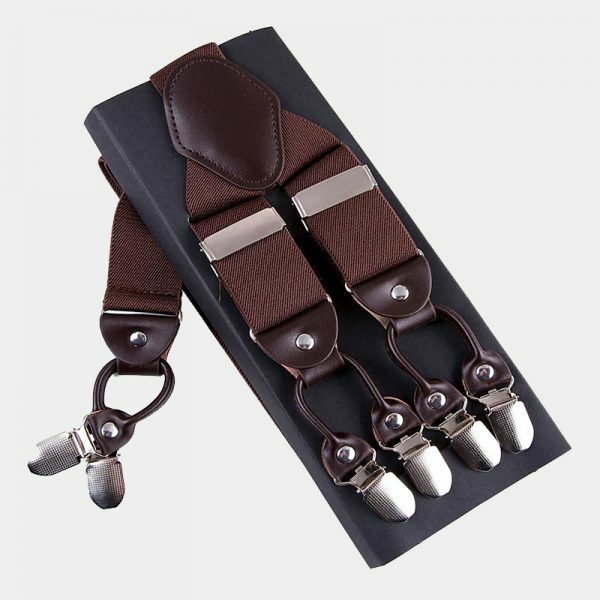 These fashionable men’s gray double clip suspenders are carefully made by hand and use top-quality materials. 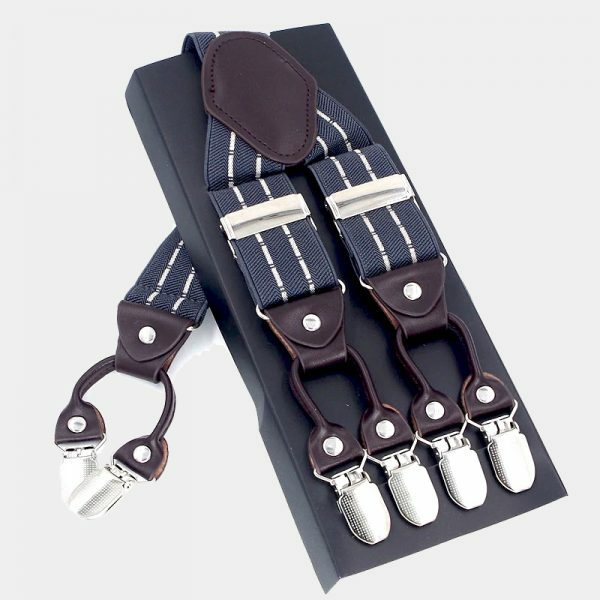 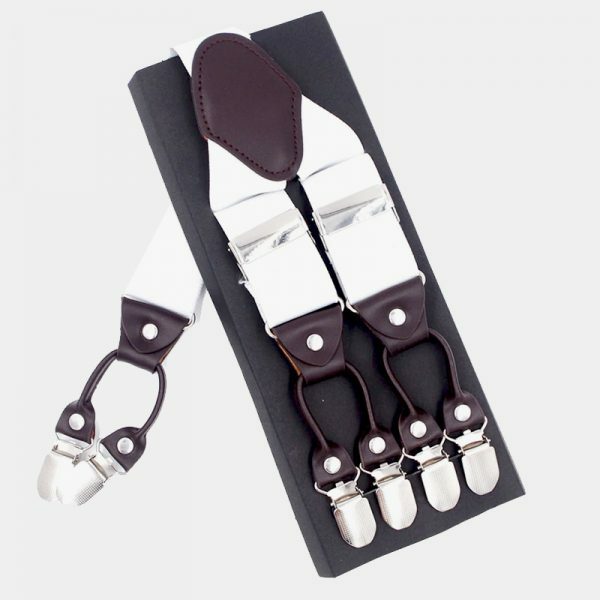 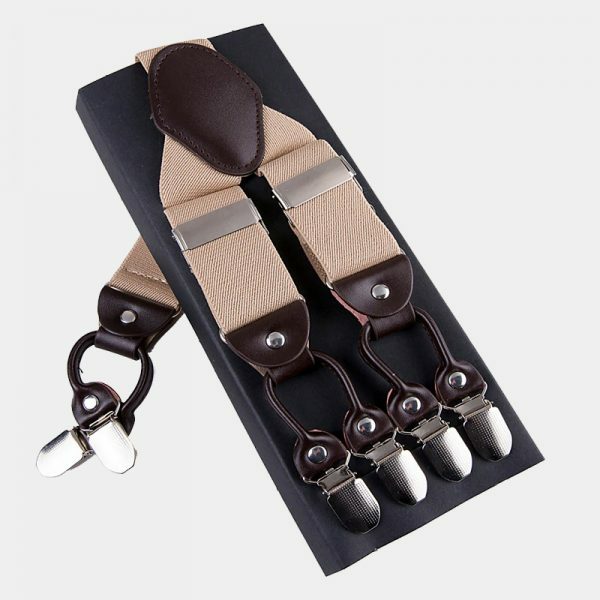 Not only are these handsome men’s trouser braces strong and comfortable, but they are also easily adjusted. 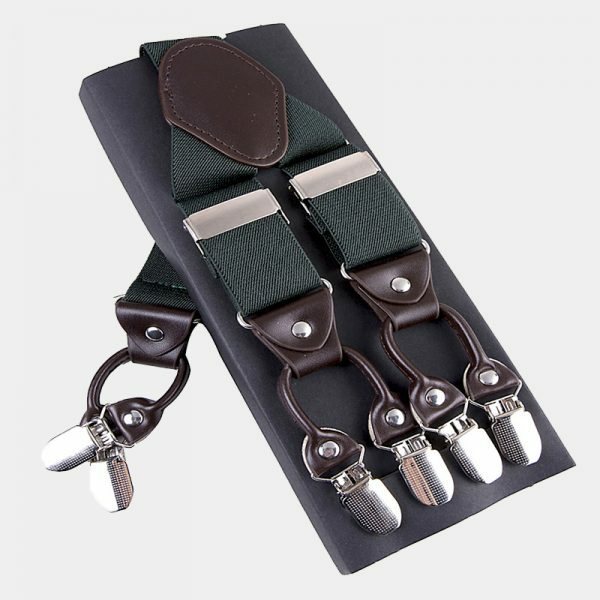 In addition, the durable clips have non-slip grips that stay exactly where you place them. 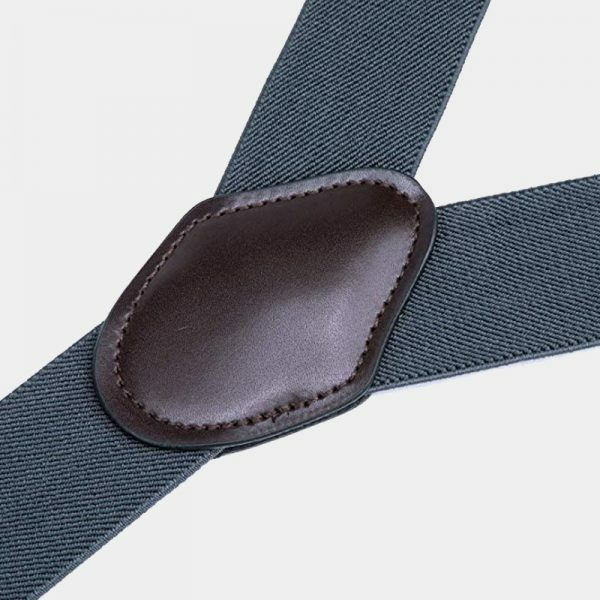 You’ll never have to worry about keeping your pants up. 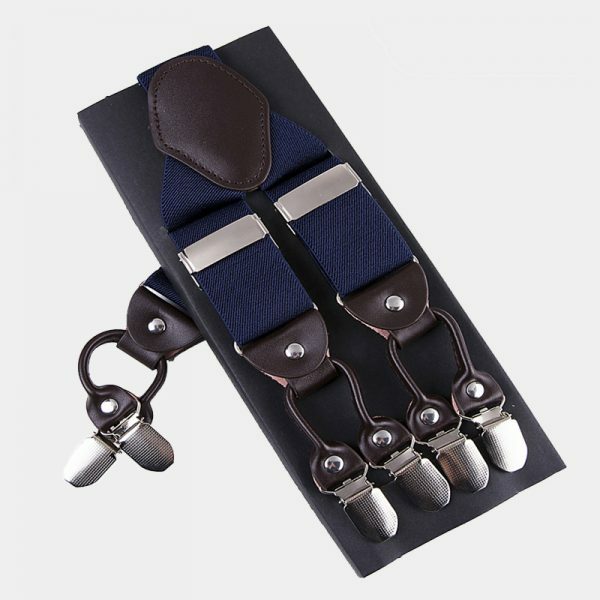 These great men’s accessories come attractively packaged in a sturdy box. 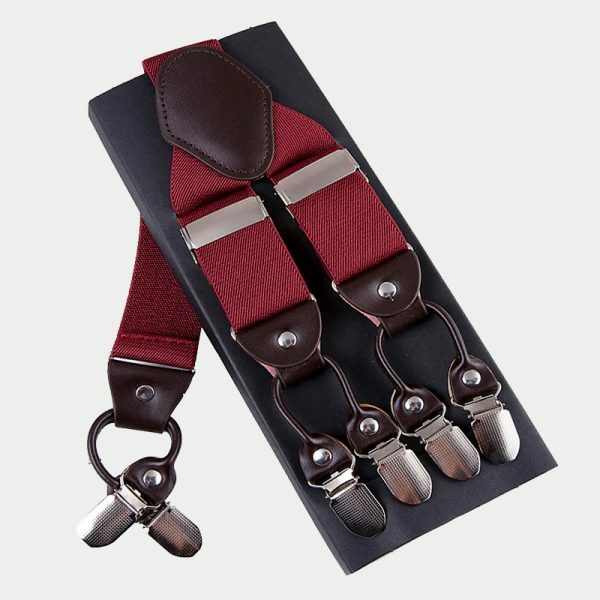 They make gift giving easy for the modern men in your life at the holidays, birthdays, and more.